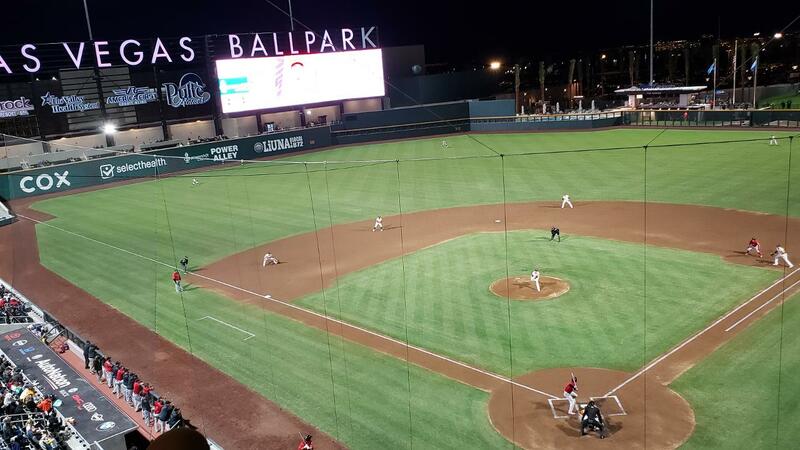 Las Vegas, Nevada (Friday, April 12) - When Raudy Read's first homer of the season rocketed its way down the left line, it appeared as if the Fresno Grizzlies (5-3) might be the team to deal the Las Vegas Aviators (8-1) their first loss in a sparkling new ballpark. Trailing 7-0 after four innings, Read's blast put the Grizzlies on top 8-7 in the eighth. But the Aviators rallied for two in the bottom half on an RBI double by Corban Joseph to tie it, before a wild pitch did Fresno in, losing 9-8 in their first game at Las Vegas Ballpark. In dropping consecutive one-run games (5-4 at Salt Lake on Thursday), the Grizzlies fell to 2-2 in such games in the season's early going. This series is four games in the Summerlin area of Las Vegas through Monday. ON THAT FRES-NOTE: With Friday's comeback, make it twice in 51 weeks that Fresno has rallied from a 7-0 deficit to lead Las Vegas, winning once and losing once. On April 19, 2018, Fresno trailed Las Vegas 7-0 in the seventh inning, before winning 10-8. How much has changed since then? The MLB affiliate matchup between the two franchises is now Washington Nationals vs. Oakland Athletics; last season it was Houston Astros vs. New York Mets. The Grizzlies dropped their orange and black color scheme and refreshed their logos after the 2018 season to the current red and black look. The Las Vegas 51s were in their final campaign, before rebranding to the Las Vegas Aviators, just in time to move into brand new Las Vegas Ballpark in the Summerlin neighborhood for this season, eschewing venerable Cashman Field which had been the franchise's home since 1983.